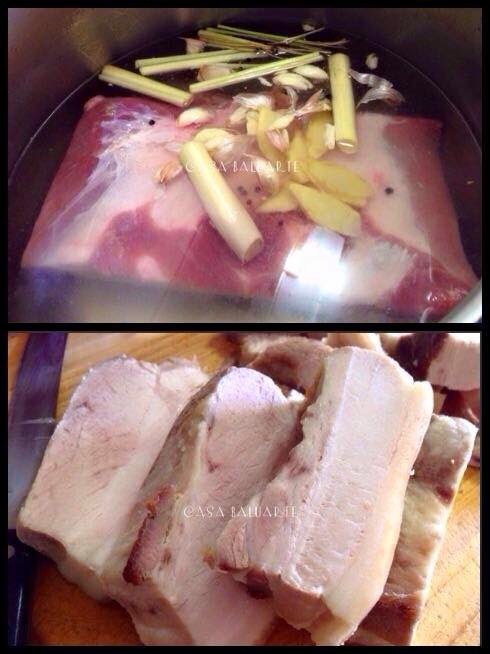 Combine pork with the garlic, ginger, laurel leaves, pepper corn, salt and enough water in a pan. Bring to a boil for an hour or till skin is tender. Remove meat from the water, drain and refrigerate over night. Slice the meat into 4 pieces. 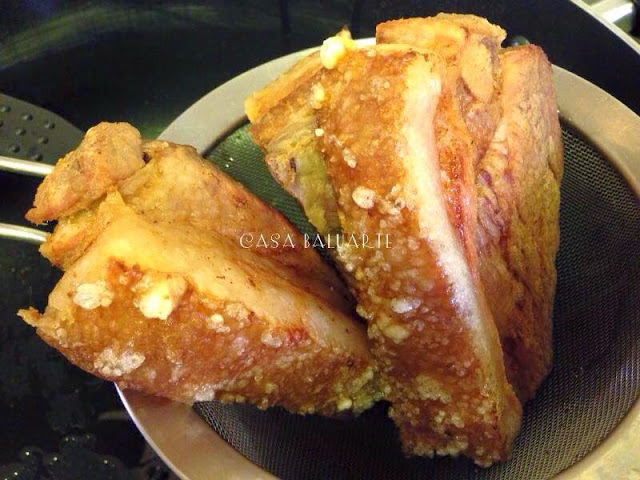 Deep fry until golden brown and the skin is crispy. Drain excess oil and cut into serving size. 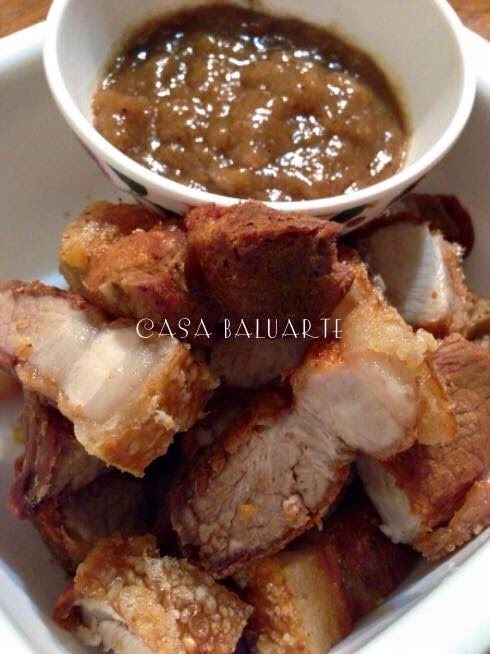 Mine is Mang Tomas lechon sauce and/or spicy vinegar.